There are few other estates in Montalcino with roots as deep as Lisini. The Lisini-Clementi family has owned lands in Montalcino since the sixteenth century, and the historic tower and loggia on the property has its beginnings in the 1300s. The first vines were planted here in the 1930s, well before the international craze for the area's wines. And Lisini wasn't just one of the founding members of the consorzio di Brunello in the 1967: The late Elina Lisini, the head of the family until her passing in 2009 was its first and only female president in 1970! Today, the estate totals roughly 150 hectares that surround the ancient farmhouse and winery, and brothers Carlo and Lorenzo, along with cousin Ludovica, continue the traditions of their forebearers. This includes not just the production of wine--which is based entirely on the noble sangiovese grape--but also of olive oil. 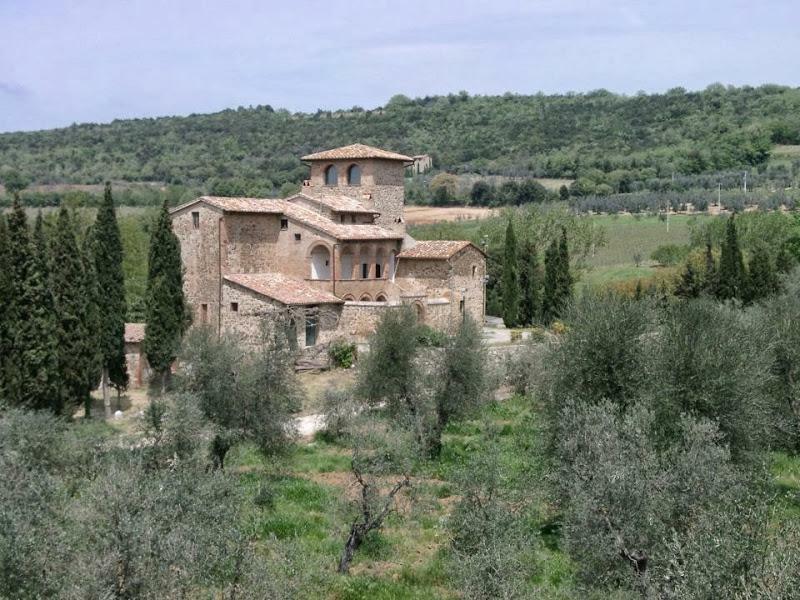 Their location, in the hills surrounding Sant'Angelo in Colle, in the Southwest corner of Montalcino, are particularly favorable to the cultivation of both sangiovese and olives. Their 20 or so hectares of vineyards are at an average elevation of 350 meters above sea level, and open to the south, towards the Maremma area of Tuscany, making them drier and more ventilated than other locations more landlocked than Lisini. With the history of the Lisini family running so deep in Montalcino, the current regime saw no other way to produce their wines other than with respect for tradition. This means that only sangiovese is grown, fermentations take place in glass lined cement tanks, and all wines age in large Slavonian oak casks. The winemaking at the estate was guided starting in the 1980s for many years by Franco Bernabei (of Felsina and Fontodi fame) who then trained the current staff enologist Filippo Paoletti. The late Giulio Gambelli (the original "sangiovesista", responsible for many years at Biondi Santi and Soldera, and the creator of Le Pergole Torte), also collaborated with the Lisinis for a while, and current winemaker Filippo counts both of these as important inspirations and influences on his work.